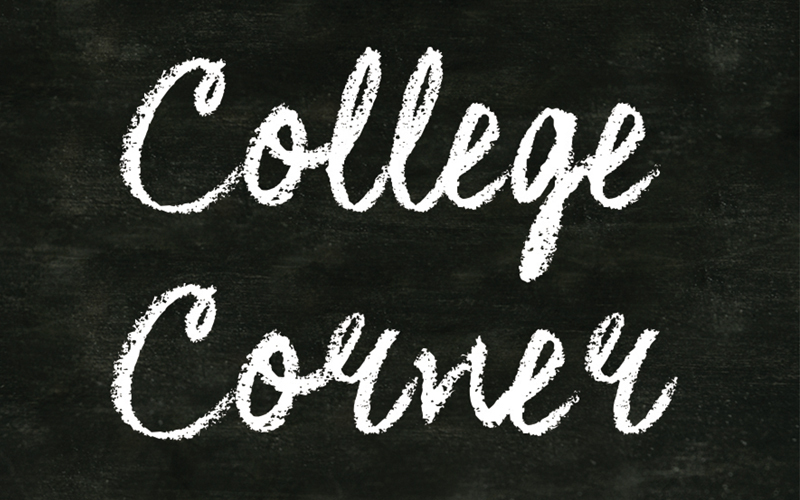 College Corner appears in the Wyvern Weekly with suggestions and dates to help make the college search and application process as stress-free and enjoyable as possible. Seniors are in the process of making a decision as to which college they will attend. The deadline for making the enrollment deposit is Wednesday, May 1st. We will be celebrating the May 1st deadline at SFS by seniors, faculty, and staff wearing a t-shirt or sweatshirt from the college they are attending (or attended in the case of the faculty and staff!). In order to not miss important deadlines, seniors should be checking their email for communications from their colleges, as housing, registration, orientation, and other important information is being sent. It is common courtesy to email the admissions offices at the colleges you are declining to let them know you have made a commitment elsewhere (you don’t need to say which college you are attending, but you can if you want). Compare scholarships and financial aid packages and decide what is most comfortable for you financially as you consider loan amounts. What are the strongest programs academically and do they interest you? Do you have a dedicated academic advisor and career counselor? Consider the surrounding area of the college as you will be living there for four years. Is it important for you to be in or near a city? Do you want to be surrounded by mountains and places where you can hike, camp, ski, etc.? What are the internships and work opportunities available to you and how much does the career center at the college assist in placement? If you plan to attend graduate school, what are the percentages of students accepted into law and medical school? What are the freshman retention rates and what is the college’s graduation rate at four years and beyond? What about class size in your major? If you are attending a large public university, how big are the classes for your general education requirements and are students able to graduate on time? What is the ratio of male to female students and the percentages of international students and students of color? What are the expenses involved in getting to and from the campus? Will you be able to have a car freshman year? Will you have to fly to get back and forth from college to home? Does the college have the student organizations that are important to you and how active are the clubs? Is Greek life something you think you want to participate in and, if not, is it the “social” life on campus? What are the mental health and learning support services on campus and how difficult is it to get appointments or use the services. Are there additional charges? What is the security like on campus? What about crime rates? What is the housing like after freshman year? Is it guaranteed, or do you have to secure your own housing after freshman or sophomore year? What are typical rates for apartments off-campus? Making a pro/con list for the colleges you are deciding between is helpful as you can see it on paper. What does your gut say? Trust your instincts and once you have made a choice, don’t look back … celebrate this accomplishment! College Counselor, Leslie O’Connor, is happy to assist students and parents at any time, so please reach out if you have any questions.